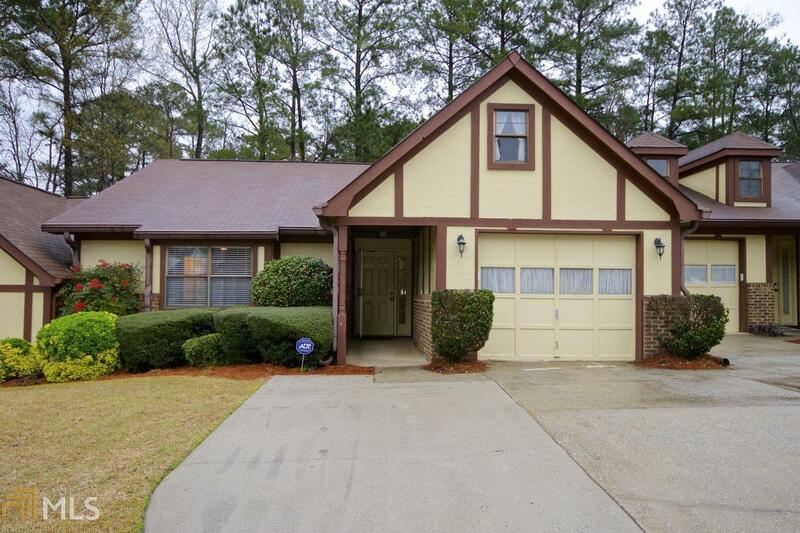 Live in the Heart of Peachtree City! Desireable open plan. Foyer flows to the vaulted Living Room brightened by skylights and centered on the painted brick fireplace. Freshly painted interiors feature âAccessible Beigeâ walls. The Dining Room offers French doors to a Sun Room with a bonus closet. Lovely Owner's Suite features new carpet, big windows & large closets, plus a vaulted spa-style bath with jetted tub, separate shower & stone countertops. The Hall Bath has stone countertops. Bedroom Two has new carpet, big windows & a wall of closets. A generous deck provides outdoor living space. One-car garage plus parking pad. Reasonable HOA fees cover lawn maintenance, irrigation system & termite bond. Connected to PTC&apos;s cart path system. Directions: From Highway 54: Turn North On Flat Creek Trail. Turn Left Into Dover Square. Turn Left On Dover Trail.